We love helping others in caring for their family forests. Our passion is to promote the conservation and growing of forest resources in a sustainable manner on family forests. This Tree Farm program is a non-profit organization affiliated with the National Tree Farm System and American Forest Foundation. Our purpose is to help private forest landowners manage their lands with the goals of conserving forests, water, and wildlife while promoting natural resources based recreational opportunities. We support the responsible harvesting of renewable natural resources and the Montana Wood Products Industry. If you are interested in what we do, please browse through our site. We have helpful PDFs to help you with caring for your trees. The Tree Farm System is the oldest and only cost-free sustainable forestry certifying entity in existence. The forms for you to use in evaluating your tree farm are available through the Forestry Tips page of this site. It is our intention to preserve as many trees as possible. It is what is best for the environment. If you have the land to have a family tree farm, we hope that the resources found here on our site will be most beneficial. 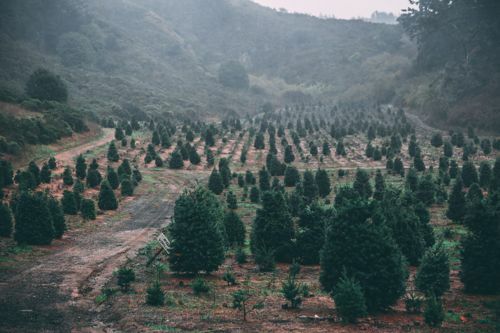 However, due to a number of factors, most homes found in residential or suburban areas do not have the needed land to enjoy a full tree farm. This can complications. Our representatives out in Maryland have worked closely with a tree removal company that cares about saving as many trees as possible and will do all they can to avoid removal. However, due to the close vicinity of some trees to homes, it is often necessary for limbs to be cut back, removed, or for the entire tree to be removed. Doing this may prevent the homeowners from future costly repairs that could be caused by downed limbs on roofs, decks, or vehicles. It could also aid in preventing foundation issues depending on the root structure of the tree. If you would like more information on the Tree Farm System please contact us or browse through our site. We are the oldest and only cost-free sustainable forestry certifying entity in existence. We look forward to all inquiries and appreciate your love of forestry!